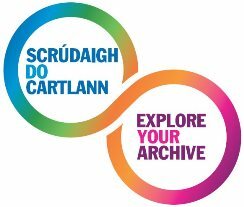 The Archives and Records Association, Ireland (ARAI) has launched Explore Your Archive 2017. The week-long campaign, which runs from Saturday, 18 November to Sunday, 26 November 2017, celebrates the role of archives in preserving Irish history and aims to highlight the unique potential of archives to tell exciting stories, surprise people and bring communities together. Run jointly with the Archives and Records Association in the UK, the campaign seeks to encourage people to engage with the items held in archives around the country and discover what life in Ireland was like in days gone by. Participating organisations, both north and south of the border, will open their vaults to display collections of stories, films, photos and other rare artefacts throughout the campaign. Felix Meehan, Outreach Officer, Archives and Records Association, Ireland, said: “This year marks the fifth Explore Your Archive week and it is fantastic to have more than 30 organisations from across Ireland offering a lively programme of activities for visitors to explore. We invite people to visit participating archives in person but also virtually, with many participating organisations hosting online exhibitions of digitised collections that can be easily accessed from home." The National Archives of Ireland will host a free seminar to commemorate the 150th anniversary of the Fenian Rising. Expert speakers will discuss the challenge of interpreting the historical record of the Fenians. 10am–1:30pm, Saturday, 25 November. UCD Archives is hosting an online exhibition entitled ‘The finest of men’. The exhibition will feature documents concerning those imprisoned in Irish and British jails following the 1916 Rising until the general amnesty of June 1917. Dublin City Library & Archive will host a conversation with artist Gavin Murphy on his research into the architectural and performance history of the now defunct Eblana theatre. To celebrate Explore Your Archive week, Gavin Murphy will donate a copy of his Eblana Theatre Productions Database to the Irish Theatre Archive for public access. 11am–12pm, Saturday, 18 November. The Public Record Office of Northern Ireland is hosting a number of workshops (all now fully booked) and talks. NUI Maynooth Archive will host an exhibition showcasing the correspondence of Sir Edward Baker Littlehales (1764-1825), Private Secretary to Lord Cornwallis (Lord Lieutenant of Ireland) 1798-1801 and Under-Secretary at the Military Department, Dublin, 1801-1819. 20–27 November. Tipperary Studies will hold drop-in sessions about the processing of the Murphy Ballinamona (Cashel) Negative Collection which was donated to Tipperary Studies in 2016. Pat Bracken of Tipperary County Council Library Service will show how the negatives were presented and the work which was undertaken to scan the negatives and convert them to online images. 3pm–4:30pm, Monday 20 November. For more about the Explore Your Archive 2017 campaign, see the ExploreYourArchive website. For details of events, see Northern Ireland or Republic of Ireland. This year’s campaign will also see participating organisations take part in a colourful and creative social media campaign with different themes and prompts for each day of the week. Organisations will be delving into their collections and sharing some unique items with their online audiences. The campaign can be followed on Twitter: @archivesireland, #ExploreArchives; and on Facebook: facebook.com/ARAIreland.